Saint Patrick’s Day is right around the corner, so today we’re featuring four recipes for celebrating with friends and family. Lamb, carrots, parsnips and potatoes. Potatoes and leeks, of course. Add your own ingredients to this classic recipe. In case you don’t already have a favorite recipe of your own. Using a special shortbread pan. 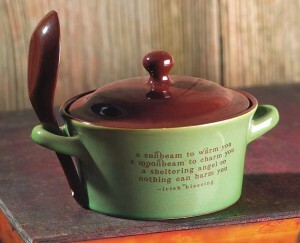 A protective sentiment as warm as the soup or hot meal inside this Irish Blessing Soup Bowl. 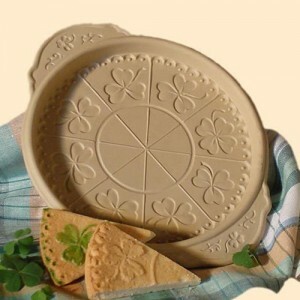 Entertain with scrumptious shortbread cookies that express the four leaf clover charm on each individual cookie with this Shortbread Pan. 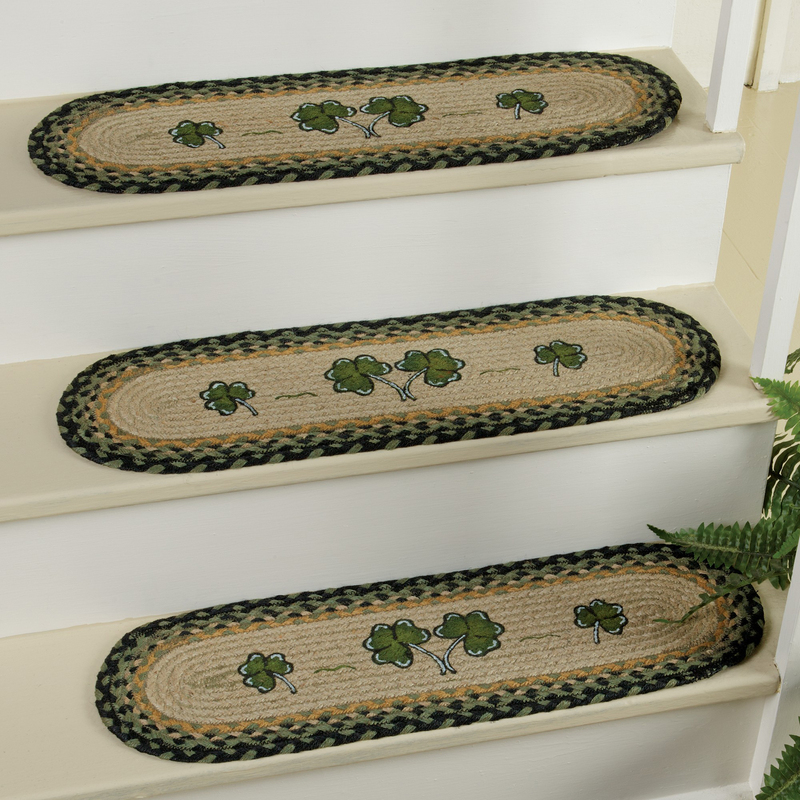 Four leaf clovers also look joyful on jute, especially when the jute is braided into stair treads for protective as well as decorative appeal. 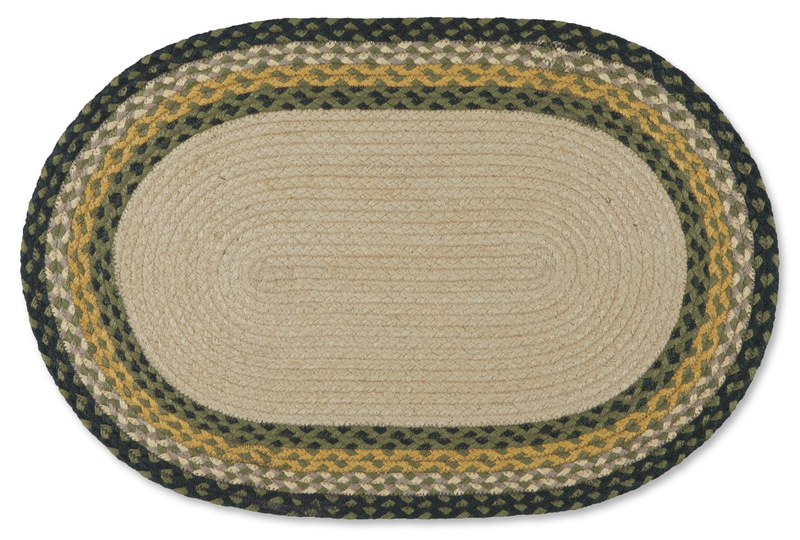 Continue the braided jute at the bottom of your stairs, in an entryway or in the kitchen with the coordinating Sheep & Shamrock Braided Jute Rug. 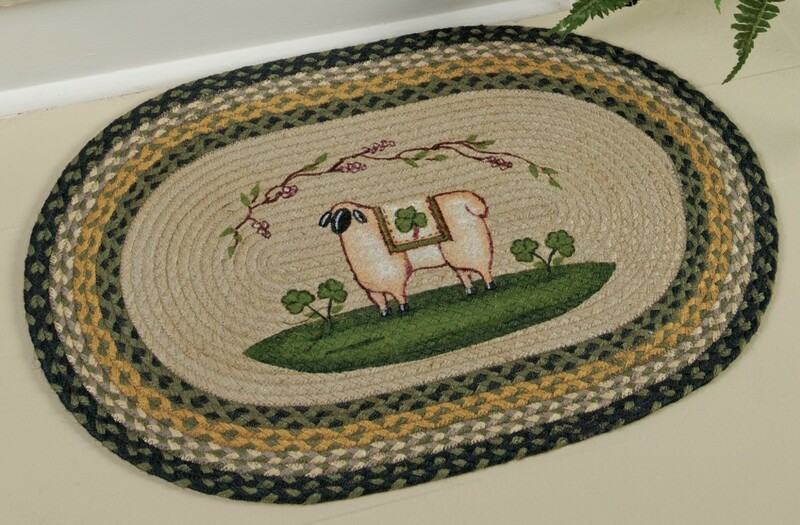 A spring sheep accompanies the shamrocks for a truly charming floor accent. 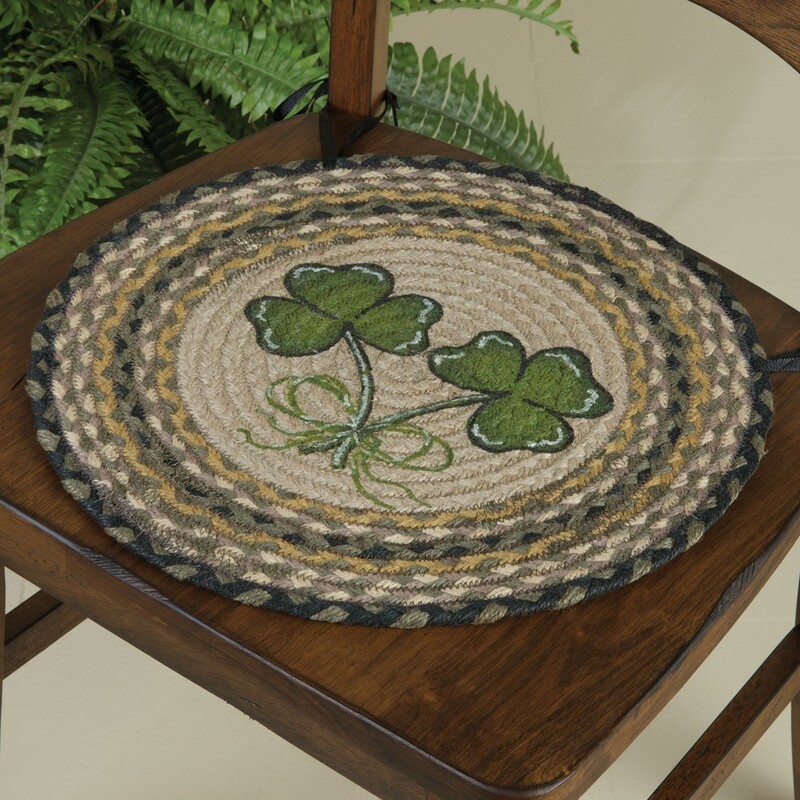 Finally, since spring and St. Patrick’s Day always come with the risk of being a little chilly, our Irish Shamrock Throw is just what you need. Place it at the end of a bed, on the sofa or keep it on a shelf for convenience. 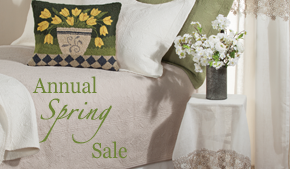 Your home will be ready for St. Patrick’s Day and for spring with all of these accents from Sturbridge Yankee Workshop! How are you decorating for the upcoming holiday? We would love to hear your suggestions and see your displays! The shamrock symbol can be traced back to about as early as the 5th century. The patron saint of Ireland, St. Patrick, used this symbol which is now commonly associated with the internationally celebrated March 17th Feast Day – or, as we know it, St. Patrick’s Day. 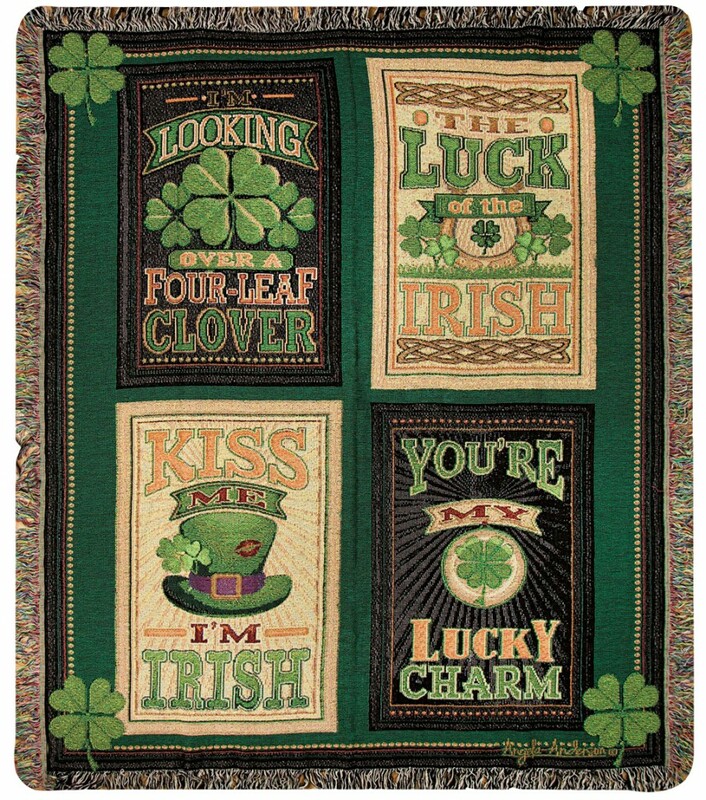 For those of you wanting to decorate your home in green for this holiday, or are looking to proudly display your Irish heritage all year long, we feature some great shamrock-themed items you are sure to enjoy. A customer favorite, our braided rugs, stair treads, trivets, and chair pads stand the test of time and the feat of decor coordination. This holds true for general and seasonal decorating, as we like to offer products that can be used for those special times of year, as well as for the rest of the year. 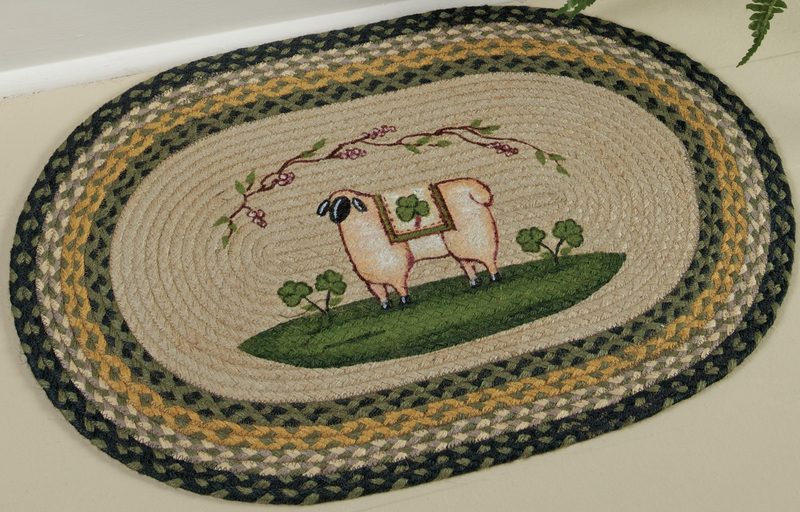 Our Sheep & Shamrock selection – featuring Stair Treads, an Oval Rug, and Chair Pads – is great for St. Patrick’s Day, but is also fitting for spring decorating. 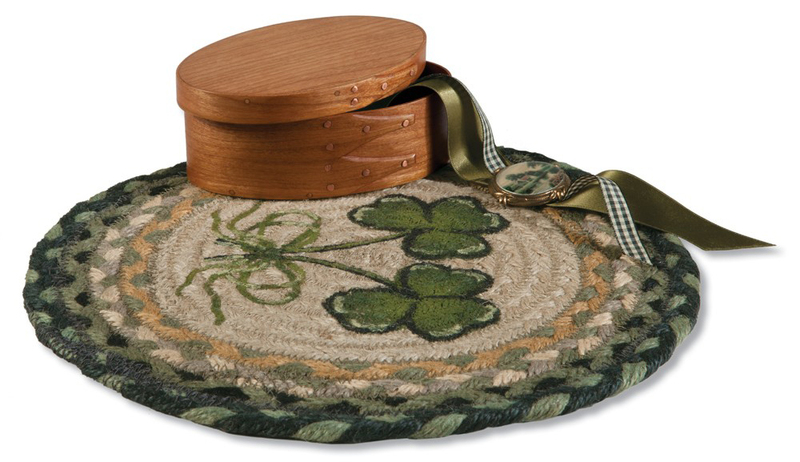 Our Shamrock Jute Trivet coordinates nicely with this selection, and that’s right, all of these items are made from durable, earth-friendly braided jute. What’s better, they reverse to a non-shamrock back, so you can use them even when shamrocks are not in season. If you’re looking for more of a novelty item that still serves a functional purpose, check out our Shamrock Thermometer. This tin device features an Irish blessing, and you can always rely on it to give you an accurate reading. 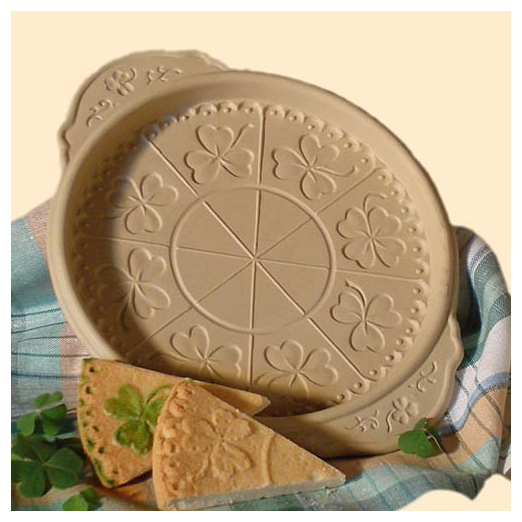 For your kitchen, we offer an Irish Lace Shortbread Pan inscribed with shamrocks that will leave a decorative imprint on your cookies. You can also choose to simply display it with other unique cookware, or with your favorite shamrock accents.